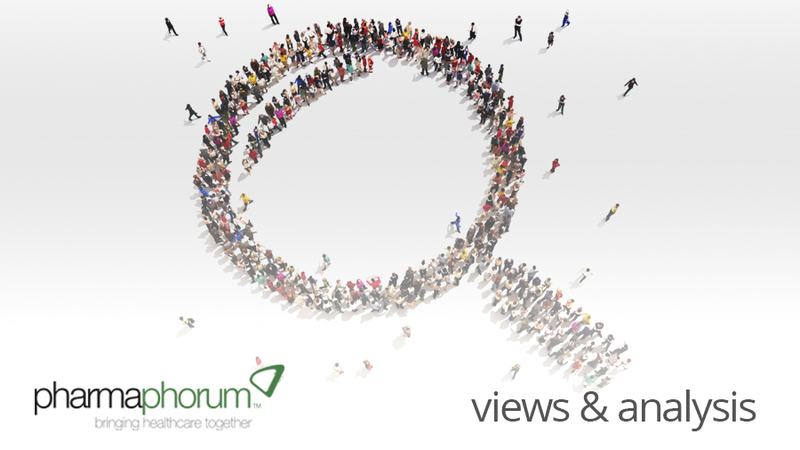 As new research reveals what is driving the empowered patient movement and what these new ‘citizen experts’ demand from healthcare providers and pharma, Paul Tunnah speaks with Kantar Health’s Brian Mondry to get the lowdown. Whether you use the term epatient, empowered patient or citizen expert, there is no doubt that, in general, patients are increasingly taking greater responsibility for their own health, are less willing to blindly accept what is said to them by healthcare providers and are no longer content to simply be the passive recipients of medicines from the pharmaceutical industry. Clearly, patients want to be in control of their own destiny when it comes to health and the empowered patient voice is here to stay. But what exactly is driving this change and what does it mean for patients, healthcare providers and pharma? Some new research conducted by Kantar Health, in collaboration with WEGO Health and the innovative research platform Truvio, from California-based Vocalize, provides some clues to the answers. The interesting observation about that definition is what is missing – there is no mention of the internet or social media. For many, the term empowered patient is used interchangeably with the short-form ‘epatient’, which conjures images of social-media savvy patient gurus with legions of Twitter and Facebook followers, but Mondry believes this is a limited description which belies the scale of the movement. Nevertheless, the research does show that technology and the associated information age has been a major driver here. When the surveyed patients were asked to rank a number of factors in terms of their importance for driving patient empowerment they all rated ‘technology’ in either first or second place, with other factors such as consumerism, the realities of healthcare, costs and trust lagging behind (figure 1). Figure 1: All surveyed patients placed technology as a key driver of patient empowerment. “Easy access to information on the Internet and the ability to share experiences and advice in online patient communities,” is why technology is a key driver, says Mondry. But technology also plays a pivotal role in the quantified-self movement – self-management of wellness alongside disease management. “The rise in non-intrusive, affordable, wearable technology related to fitness and health, for example fitness sensors such a Fitbit and Jawbone, are good examples here. There is a global trend of people, even very healthy ones, getting more involved in their daily physical energy expenditures, especially the millennials, who will be the major consumers of healthcare in coming years,” explains Mondry. But the most interesting aspect of the empowered patient movement revealed by this research is in what it means for other healthcare stakeholders. The tabloid view of empowered patients often focusses on the negative aspects towards the pharma industry – pushback on drug pricing and transparency – but the reality of their influence is much broader. Empowered patients are not only expressing themselves to drug manufacturers, but also to their doctors and other patients. “Informed and proactive patients are often driven by the desire to help others via their own blogs or participation in existing online patient forums and communities,” says Mondry, adding that, “the research also suggests that they are going a stage further and encouraging other patients to take a more proactive stance, even to change their doctor if they are not working with them in a productive way to manage their disease.” Here, the definition of ‘productive’ is not just about treatment options, but also how the physician communicates with the patient. But how the pharmaceutical industry engages with them is also in the forefront of the empowered patient’s mind. Pharma has clearly woken up to the power of patient engagement, with phrases like ‘patient-centric’ and ‘putting the patient at the centre’ becoming prevalent on company websites, but empowered patients remain cynical about corporate intentions, wanting the pharma industry to ‘walk the walk’ as well as ‘talk the talk’. The good news for the industry is that empowered patients do typically want to engage with pharma. As one survey respondent stated, “Have a conversation with patients. It is very important because, yes, the doctors prescribe the medication, but…the patients are the ones you are really selling to because they don’t have to take it.” A sobering reminder perhaps that, while prescribers and payers may be the gatekeepers to the market, the patient holds the key to successful outcomes, or not. With this in mind, Mondry sees some clear advice emerging for the pharma industry. “Invite patients to be part of internal panels. Seek their input during all phases of the drug lifecycle. Even get their input on patient education material and ways to maximize medication adherence and compliance”. While admittedly the scale of this research is small – just 30 patients – it provides some rich feedback and also reveals some interesting pointers about the future direction of the empowered patient movement, and its impact on healthcare systems. Mondry sees such patients becoming the gatekeepers to trusted information. “More and more, they will be seen as trustworthy sources for support and advice by fellow patients. This will make it all the more necessary for pharmaceutical companies and healthcare providers to work with them to make sure they are disseminating information that is accurate and medically sound,” he remarks. Does this create regulatory challenges and potential conflicts of interest? For sure, feels Mondry, but these problems are not a robust excuse for pharma to not get involved. “Any empowered patient who endeavours to create an online audience will eventually find themselves sharing their viewpoints with a large group of fellow patients. So once we acknowledge that these voices of influence will only grow in future, we must embrace them, not resist or discourage them,” he concludes. The conclusion for the pharma industry is clear. Empowered patients are here to stay, they are exerting influence on all other healthcare stakeholders, including fellow patients, and they are not content to be left out of the conversation. It’s time for the pharma industry to stop talking and start engaging. Brian Mondry is VP of Integrated Strategies & Digital Solutions at Kantar Health. For queries regarding this article and the associated research he can be emailed at brian.mondry@kantarhealth.com. Closing thought: How does pharma need to engage with empowered patients?